Jeremy Pern offers a complete range of services to the full spectrum of golf course developers including public bodies, private clients and commercial developers. Market research and site appraisal with a view to defining the most suitable project. 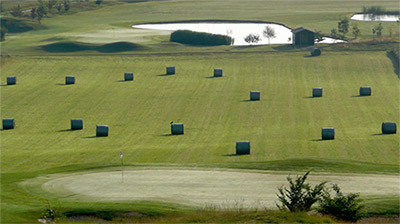 Forecasts for the construction and management of the golf club (maintenance, hospitality, administration). Design and production of development funding plans. Resort and Residential Master planning. 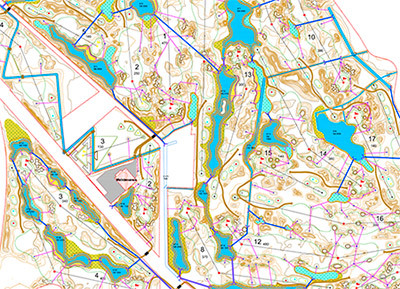 Course layouts providing optimal integration of the course into the natural environment, guaranteeing high playing quality and compliance with approved budgets. Plans and invitations to tender to ensure that work proceeds smoothly using the state of the art techniques (GPS directed earth moving, contouring, drainage, irrigation, seeding, sodding and planting). Coordination with other members of the project development team. In accordance with the client's wishes, assistance with the appointment of construction specialists (site supervisors, shapers, green keepers) to companies selected to build the course. Regular monitoring of works in order to manage quality and progress. Preparation of initial studies, or course audits, and programme of works for the renovation, restoration or reconstruction of existing courses. Preparation of invitation to tender for works or technical assistance to the course maintenance team. Jeremy represented the Golf Course industry in environmental matters regularly between 1993 and 2010, as a member of the EGA Ecology Unit, environmental spokesman for the British Institute of Golf Course Architects, and the European Institute of Golf Course Architects. 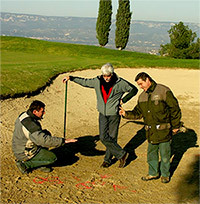 Jeremy was a member of the Golf Environment Europe (GEE) working group on new golf course developments. Jeremy has given numerous lectures, conferences and seminars throughout Europe and has written many articles on golf course environmental issues. He was co-author of the “Golf Development Strategy for Mauritius” prepared on behalf of the Mauritian government, where particular attention was paid to the environmental and ecological issues that confront international tourism development in sensitive locations. 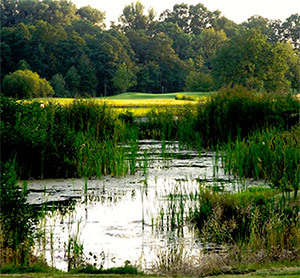 The process of golf course design in often challenging and environmentally rich locations includes negotiation with a wide range of stakeholders. The quality of the completed project may be greatly influenced by the outcome of these discussions. A thorough knowledge of environmental and planning issues is therefore an essential component of the golf course architect's skill set. Golf is a relatively recent recreational activity in many parts of the world and golf course developments often attract negative press. Criticism generally includes the notion of artificiality, of a resented urban or semi-urban landscape replacing what was previously accepted as natural. 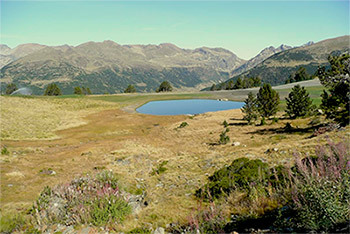 But by including the principle of Sustainable Development within the design parameters, golf courses can and do play an important role in the conservation of the European landscape. Sustainable Development embraces the idea that the quality of life enjoyed today should also be available to future generations. A sustainable golf development therefore includes environmental, social and economic factors right from the start of the design and planning process. A harmonious balance between these factors and the obvious imperative of course design excellence is often the key to a successful and sustainable project. The creation of new landscapes should be harmony with existing landforms. Historic and cultural aspects of the landscape should be respected. Public access maybe be encouraged subject to the strict proviso that safety issues have been adequately addressed. Whilst some sites include important ecological features that could severely limit or even preclude development as golf courses (e.g. wet land bio-tops or the presence of protected species), appropriate design measures and subsequent careful management should be aimed at negating ecological risks, leading in the best cases to enhanced ecological amenity. To date there appears to be no hard scientific evidence to indicate that normal golf course maintenance procedures represent a threat to the environment through pollution from agro-chemical product use and hydrocarbons. However over and above existing statutory legislation, the Precautionary Principle should be applied at design stage to minimise the risk of accidental pollution of water courses and water tables. Water consumption for irrigation is of vital importance to many golf courses and may be a limiting factor in planning acquisition. Recycling urban waste water for turf grass irrigation should be considered as a priority. Local land use planners may be unaware of what a golf course development entails and existing literature is limited. Many members of the environmental protection community believe that golf courses cannot function as an environmental asset. Sadly this remains a political prejudice rather than a researched position. Courses in more rural areas rely on local part-time and seasonal workers in much the same way that agriculture does. Benefits linked to employment, investment and tourism can play a significant role in the economic development of a given locality or region. Golf courses can offer valuable public facilities for sports development, together with educational and recreational opportunities within the local community. Land use planning around urban fringes seek natural “green” sites that can be integrated into an urban plan. In much the same way as urban parks were created in the 19th and 20th century, so golf courses offer town planners the opportunity of developing cost effective green space.